“Writing’s On The Wall,” the title song for SPECTRE, was nominated for an Oscar in the Best Song, ACCORDING TO A LIST OF THE NOMINEES on the Acamdemy of Motion Picture Arts and Sciences website. The nomination comes four days after the song won a Golden Globes award. With the Oscars, the songwriters get nominated. In this case Jimmy Napes and Sam Smith are the nominees. Smith performed the song. This is the second consecutive Bond title song to pick up a nomination. Adele and Paul Epworth won the Best Song Oscar three years ago for Skyfall’s title song. 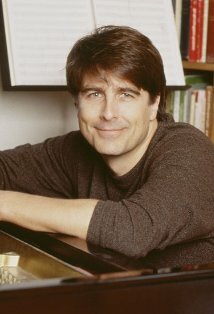 Thomas Newman, who was nominated for Skyfall’s score, didn’t get a nomination for SPECTRE. However, he picked up a nomination for the Cold War drama Bridge of Spies. The latter received a number of nominations, including Best Picture. To be honest, it was more appropriate Newman got a nomination for Bridge of Spies. Drama is more in his wheelhouse. Meanwhile, with SPECTRE, Newman repeated some of his Skyfall score in several spots. Almost a year ago, this blog christened 2015 as the “Year of the Spy.” As the year draws to a close, this post looks back on that year with some final thoughts. The blog didn’t write about all the movies discussed here. But the blog editor did see them all. The films listed are in order from best to worst. Actually, none of them was a stinker, so “worst” here is relative. Regardless, here we go. Bridge of Spies: This wasn’t so much a spy movie as a film about the aftermath of espionage. 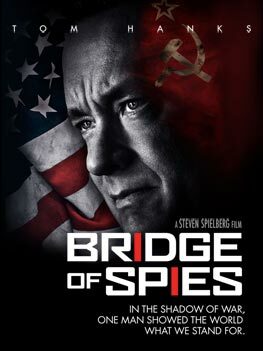 The Steven Spielberg-directed “biopic” starred Tom Hanks as James B. Donovan (1913-1970), the American lawyer who negotiated the release of U.S. U2 spy plane pilot Francis Gary Powers from the Soviets. With any “based on true events” film, one should never view it as history. Regardless, it was very engrossing. Here, CGI is used to recreate Powers’ capture when his plane was shot down. Hanks is an accomplished actor and, as usual, delivers a strong performance. This movie also is a milestone of a different sort. Spielberg had to rely upon a composer other than mostly retired John Williams. For this film, that was Thomas Newman. Bridge of Spies is mostly a low-key drama. The stakes are large, but it doesn’t have the pyrotechnics of the typical action film. This is exactly what Newman excels at. His score is perfect for the movie — and also points out his weakness at another prominent movie on this list. The Man From U.N.C.L.E. : The return of Napoleon Solo and Illya Kuryakin after a 32-year absence was a financial failure, despite a modest $75 million production budget. The Guy Ritchie-movie took liberties with the source material. Henry Cavill’s Solo was, more or less, the same character that Robert Vaughn played in the 1964-68 series but his back story was quite different. Ritchie took more liberties with Armie Hammer’s Kuryakin, who had a far darker side than David McCallum’s original. Still, it mostly worked, even if it relied on an “origin” story line. It had a strong opening, downshifted to a decent middle section, then went into high gear in its second half. Once main villain Victoria (Elizabeth Debecki) calls Cavill by “Mr. Solo,” the proceedings accelerated until the end. One of the strengths of the movie is Daniel Pemberton’s score. The composer was instructed by Ritchie NOT to emulate John Barry’s 007 movie style and that advice pays off. 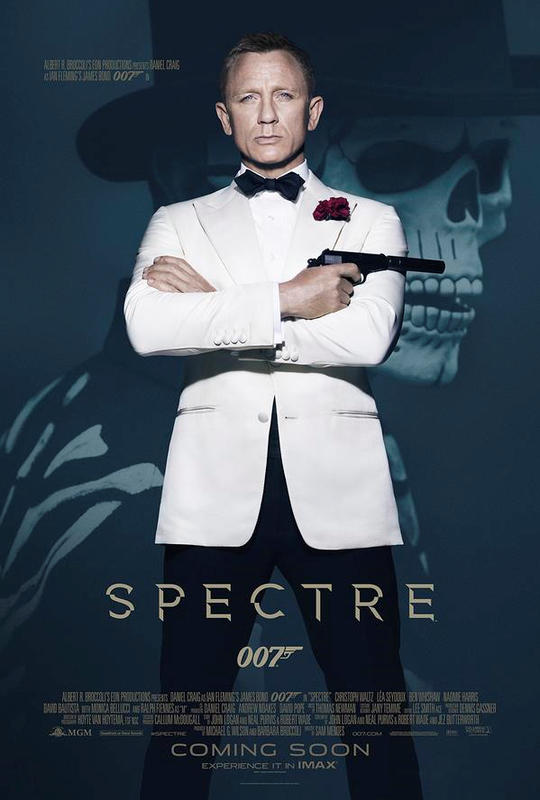 SPECTRE: The 24th James Bond film started out strong as it sought to mix “traditional” 007 movie elements with Daniel Craig’s 21st century grittier take. For the first two-thirds, it succeeded. Yet, in its desire to top 2012’s Skyfall, some things went awry. 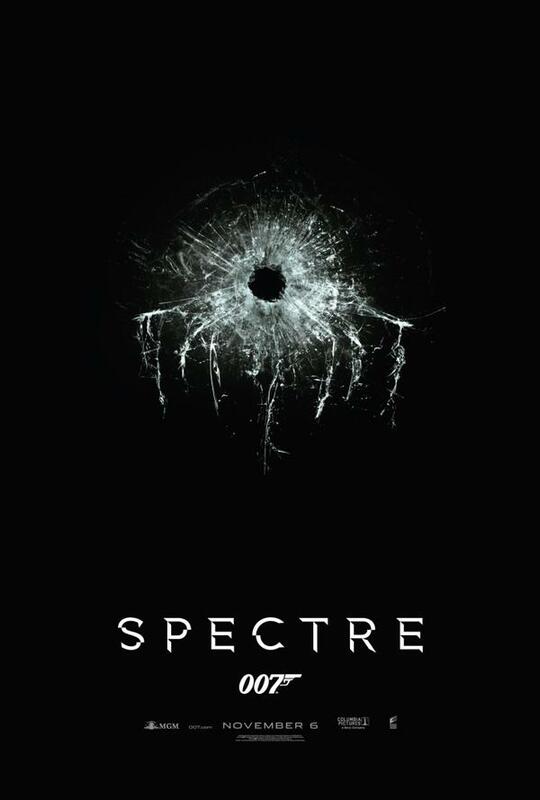 The same writers of Skyfall (John Logan, Neal Purvis and Robert Wade) worked on this year’s Bond film. Their roles, however, were reversed. Until now, Purvis and Wade — who are very familiar with Ian Fleming’s original novels and short stories — would do the early drafts while another writer (Logan in the case of Skyfall) would come in and polish things up. In this case, Logan did the early drafts. Purvis and Wade weren’t even supposed to participate. However, Logan’s efforts were found lacking — something that likely wouldn’t have been known had it not been for computer hacking at Sony Pictures, which exposed behind-the-scenes details of many movies, including SPECTRE. Also, playwright Jez Butterworth (who did uncredited polishes on Skyfall) apparently did more on SPECTRE because he got a credit with the other scribes. Thomas Newman, who did such a splendid job on Bridge of Spies, is only serviceable here, even recycling some of his Skyfall score in some scenes. Clearly, doing a Bond film is NOT in the talented composer’s wheelhouse. Regardless of the soap opera, SPECTRE ran out of gas. Its final third wasn’t a total loss but it didn’t sustain the momentum of the first two-thirds. As a result, this blog puts SPECTRE behind U.N.C.L.E., which finished much stronger. Mission: Impossible Rogue Nation: The fifth Tom Cruise Mission: Impossible film had its own behind-the-scenes soap opera. The movie was originally scheduled to debut Dec. 25. But Paramount abruptly moved up the release date to July 31, presumably to get it out of harm’s way from Star Wars: The Force Awakens. Presumably, that had to add extra stress to screenwriter-director Christopher McQuarrie. Directors almost always want more time to tinker with a movie in editing, not less. Regardless, from a box office standpoint, it was an astute move. It definitely hurt the U.N.C.L.E. movie (which came out two weeks later). And the movie was well received, encouraging Paramount to order up another film. Technically, the movie was very exciting. Star (and producer) Cruise probably scares studio bosses by insisting on doing his own stunts. 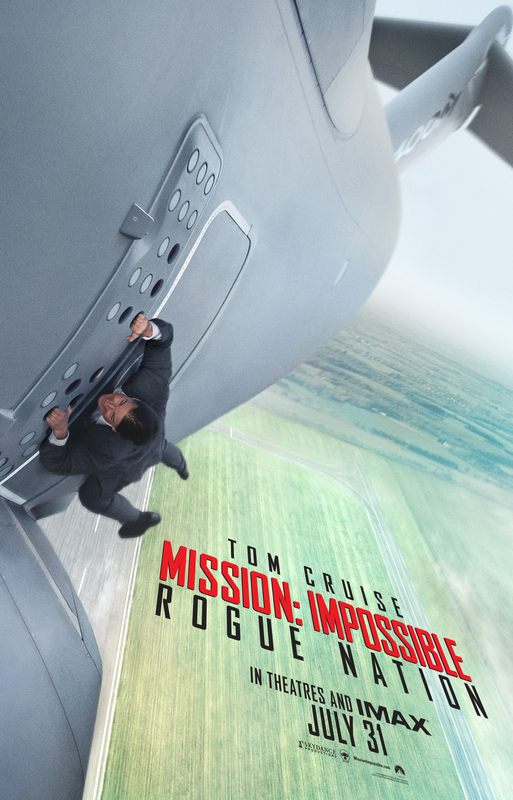 This blog drops the movie down a step because it’s not as much of a Mission: Impossible movie as its predecessor, the Brad Bird-directed Mission: Impossible Ghost Protocol. The original M:I series (1966-73) was very much about team work. Ghost Protocol very much followed that path (even reworking some bits from the show, albeit in a bigger and more spectacular fashion). Rogue Nation was a step backward. It was another example of turning M:I into The Tom Cruise Show. Kingsman: The Secret Service: If this movie had sustained its first half for the rest of the film, it probably would have been the best spy movie of the year. It didn’t. In the first half of the movie, one of the best scenes in the first half is where Kingsman Harry Hart (Colin Firth) says, “Manners maketh man,” before he clobbers some British thugs. But director Matthew Vaughn conveniently forgets that advice. Once Harry is killed midway throught he film, the movie dies a bit with him. There’s still a decent amount worth watching (and the movie was a hit, especially with international audiences). Still, whatever class was present disappears into the mist. Taken 3: The final (we hope) of Liam Neeson’s adventures as a former spy does everything it’s supposed to do — but no more. In this installment, the wife of Neeson’s Bryan Mills has been killed and he’s been framed. Of course, he’ll get out it. The question is how.